Our customers frequently ask us if we can show them how to change the battery inside their car key fob. 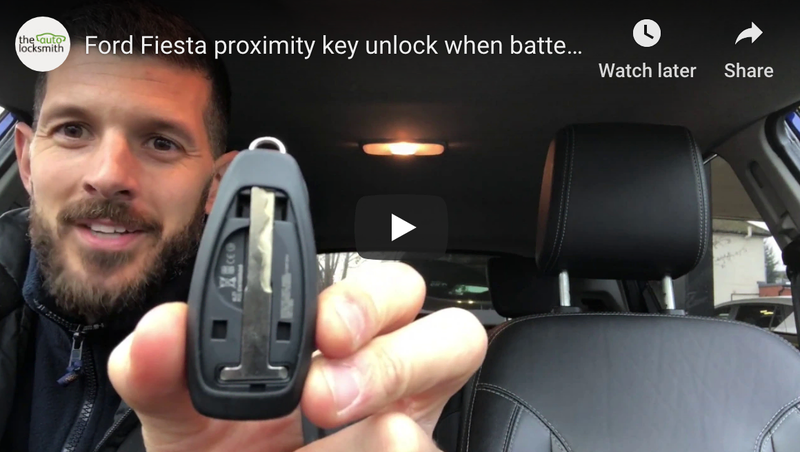 This morning I was asked how to replace a Vauxhall Corsa key fob battery, so I thought why not make a quick video showing exactly how it’s done. So here it is, a free video showing how you can remove and replace the battery in your Vauxhall car key fob. “OK, this is a two button Vauxhall remote control key commonly used on the Vauxhall Corsa and Vauxhall Combo vans. There’s two parts to the key, you’ve got the buttons here – this is the remote locking fob, and the blade which attaches to what we call a horseshoe. We are aiming to remove the remote control away from the horseshoe blade to access the battery and replace it. All you need to do is simply turn over and you will notice a small incision here in which you can place a screwdriver. With a twisting motion you are aiming to separate the remote control form the horseshoe, like so, you’ll see there’s now a small gap here. You can now pull the remote control safely off the horseshoe. Be quite careful that when you take the remote control off you dont lose the carbon chip which is programmed to the immobiliser. The transponder chip is usually stored here in one of the corners of the horseshoe. This is just an uncut blade for demonstration purposes so we’ve not got a chip here – but make sure you don’t lose that whatever you do. OK, now we’ve got the remote control of the horseshoe blade we need to open it up. If you turn it on to the side you’ll see there’s a small catch here which we are looking to prise open, like so. That simply separates into two pieces and there you will see the battery, thats what we are looking for. Again with the flat head screwdriver just insert it under the battery and pop it out like so. Make sure you have a replacement battery at hand to swap over, and that just clicks back into the housing. It’s important that you have a replacement battery to put in fairly sharpish. If you leave the battery out for too long there is a possibility the remote control could lose it’s coding to the vehicle, and then require reprogramming with a diagnostic machine , so make sure you do that fairly quickly. We then put the two parts of the remote control back together. This should just click together. There we go as simple as it came apart. Then we are looking to just push that back onto the horseshoe, and we are looking for a click. Mark founded The Auto Locksmith in January 2007. With a strong background in auto electronics and information technology it was a natural transition into car key programming. Mark has a great passion for the internet and social media and has developed www.theautolocksmith.co.uk as a free source of information for motorists and auto locksmiths alike.